With an unparalleled heritage, Bentley Motors has been creating powerful, handcrafted luxury cars at its factory in Crewe, England for 100 years. 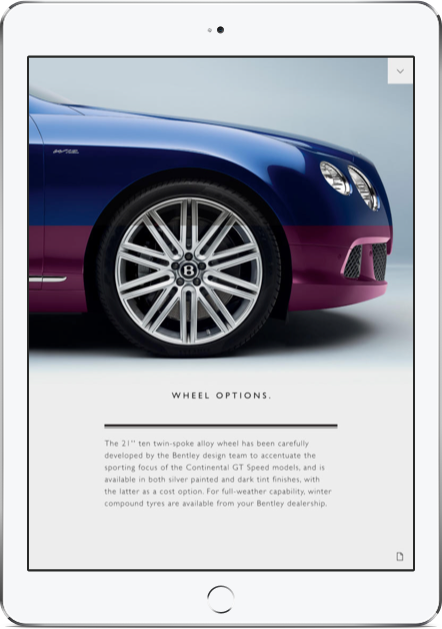 Bentley wanted to provide a solution for their current and prospective customers to indulge in the brand through an interactive tablet experience. 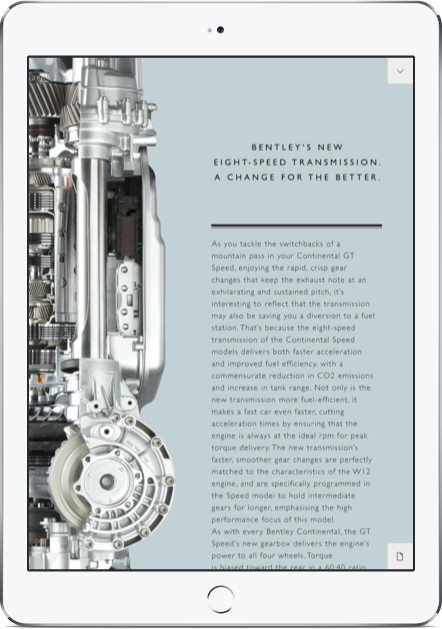 The Distance worked with Ubiquitous to design a number of engaging tools that allowed users to embrace Bentley Motor's brand values and to educate themselves in the products available. 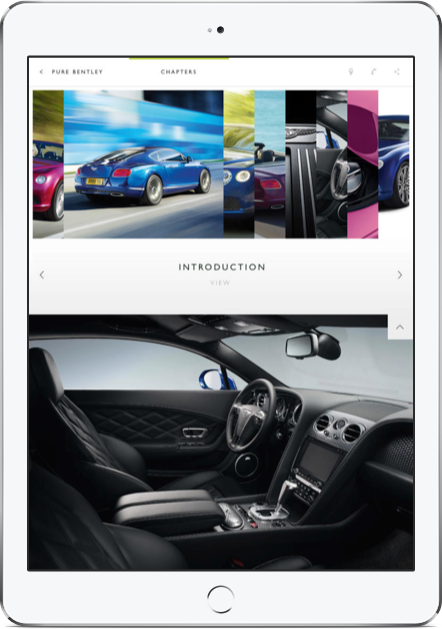 The Distance developed an indulgent app which fully immersed the user in the world of Bentley and its cars. 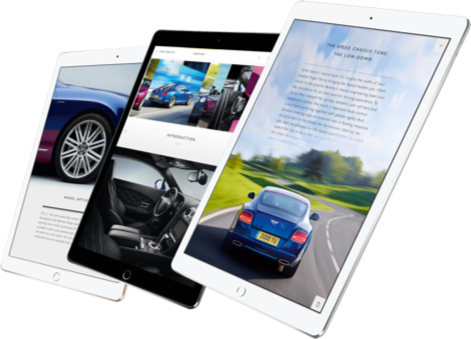 Holding its brand values with highest regard the app delivered a interactive experience for iPad and Android tablet users around the world.